Nice currently lead the standings with 3rd-placed Paris Saint-Germain six points behind them. *Please note that this was written before the midweek Coup de France fixtures were played. We get proceedings underway with a Friday night game between 16th-placed Lille and third-placed PSG. The hosts come into this one off the back of a 2-1 victory over Bastia while PSG visit to the Stade Pierre-Mauroy off the back of a disappointing 0-0 home draw with Marseille. The recent head to head statistics are heavily stacked in PSG’s favour, with the Parisian giant’s last losing to Lille back in 2012. Five out of the last 11 fixtures between the two sides have seen red cards brandished. PSG have won four out of the last five ties between the duo, and at 6/10 I will be backing them to make that five from six. Get on the straight PSG win. On to Saturday now and we start the day with a fixture between two sides who failed to register victories last week despite going into their respective matchups as favourites. Last week’s 0-0 draw with Angers would have somewhat killed the momentum gained by Toulouse after their 3-1 drubbing of Monaco in gameweek 9. Where to start with Lyon! Les Gones have been about as predictable as Dr Jeckyl, with morale boosting wins being followed by energy sapping defeats. Their 3-1 defeat to Guingamp, in gameweek 10, will have been a bitter pill to swallow for Lyon’s home faithful. Les Gones have a decent chance of getting their fans on side again, however, as they come up against a team who they have a strong head to head record against. Lyon have won three of the last five games between the two, with Toulouse grabbing one win and the other game ending in a draw. I would avoid the outright winner market here and instead back the Both Teams To Score – Yes – market at 7/10. Guingamp managed to inflict more misery upon a flailing Lyon outfit last week by hammering Les Gones 3-1 at the Parc Olympique Lyonnais. The come from behind victory would have instilled more confidence in a Guingamp side that is already enjoying a magnificent season. Angers also come into this one off the back of a confidence-boosting result as they managed to hold much-fancied Toulouse to a 0-0 draw at the Stade Jean Bouin. Angers have been in decent touch at home but the same cannot be said about their away form. My advice here would be to get on the Guingamp win at 12/10. Our next port of call in gameweek 11 will be the Stade Marcel Picot where 19th-placed Nancy will take on 18th-placed Caen. While it is still rather early in the season, both of these sides look set for the drop as neither has managed to sustain a decent run of results. The hosts have enjoyed a slightly better run of form of late, managing a draw in gameweek 10 while Caen went down by a 2-0 score line to St. Etienne. This is a game I would avoid betting on. If you must have a punt, I’d recommend backing the Totals – Over 2.5 Goals - market at 27/20. Our next game sees another clash between two sides stuck in the bottom quarter of the table with cellar-dwellers Lorient taking on 17th-placed Montpellier. The hosts come into this one off the back of their eight loss of the season - a 1-0 defeat to Dijon - while the visitors make the trip to the Stade du Moustoir fresh off the back of a 6-2 defeat to Monaco. Both sides have struggled defensively this term with Lorient conceding 16 goals at an average of 1.6 per game and Montpellier conceding 23 goals at an average of 2.3 goals per game. With stats like that, the Totals - Over 2.5 Goals market cannot be ignored. Get on it at 1/1. Saturday’s penultimate game sees 15th-placed Bastia and 13th-placed Dijon lock horns at the Armand Cesari. The two sides experienced contrasting fortunes in gameweek 10 with Bastia going down to Lille and Dijon taking all three points from their clash with Lorient. Bastia have now lost three games on the trot and look to be in somewhat of a slump. Dijon, on the other hand, are undefeated in three and are tipped to extend that record to four. 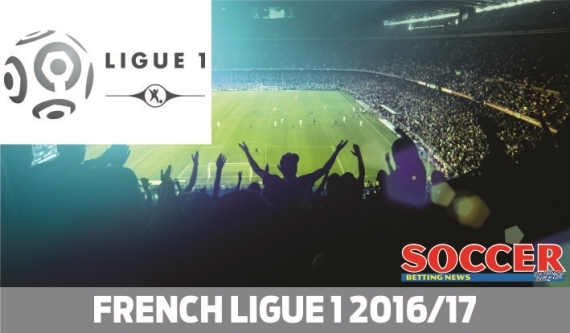 Get on the Double Chance – Dijon/Draw at 6/10. We cap Saturday’s action off with a clash between St. Etienne and title-chasing Monaco. Both sides come into this one off the back of positive results with St. Etienne beating Caen 2-0 and Monaco drubbing Montpellier 6-2. Monaco have already scored 29 goals this term and are averaging 2.9 goals per game while St. Etienne have been less prolific in front of goal only finding the back of the net on nine occasions thus far. St. Etienne have been watertight in defence, however, only conceding nine goals thus far. With the above in mind, I reckon we're in for a rather tight affair. I would recommend backing Monaco to edge it. Get on the Monaco straight win at 18/10. Nice will be looking to make it four wins on the spin when they take on Nantes in Sunday’s first game. The log-leaders will have every chance of achieving this as they are taking on a side who, while in relatively good form, have a much less talented playing squad. Nantes have been a bit up and down of late, winning two of their last four games and losing the other two. Nantes have a solid head to head record against Nice and haven’t lost to their opposition since 2014, where they went down by a 2-0 score line in a Coupe de France tie. You have to look even further back for their last league loss which came back in 2008. The stats may be stacked against Nice but I reckon they’ll get the win here. The penultimate game of the weekend sees Stade Rennes host newcomers Metz. The hosts have been in great touch and are on a four-game unbeaten streak. Their opponents, on the other hand, have struggled lately, losing their last three games. Rennes have a solid head to head record against Metz and are unbeaten in 10. They have won five of these fixtures while the other five have ended in draws. I reckon Rennes will add another one to the wins column this Sunday. Once again, we will close off the weekend’s action at the Stade Velodrome where Marseille will host Bordeaux. Marseille gave a decent account of themselves in gameweek 11 holding PSG to a goalless draw. They did lack any real threat in front of goal, however, which has been the case the whole season. Bordeaux have been slightly more prolific in front of goal this term and have managed to find the back of the net on 13 occasions while Marseille have only scored 11. With the aforementioned statistics in mind, I recommend backing the Totals – Under 2.5 Goals market is the way to go.